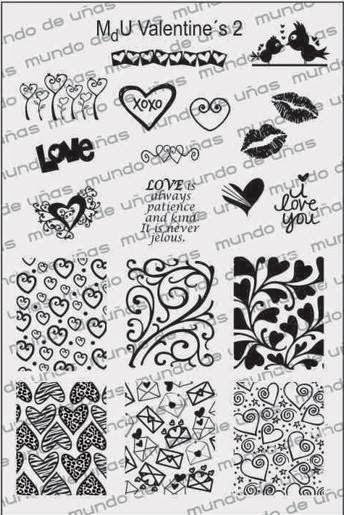 Lacquer Lockdown: Hot Off The Stamping Press: New Mundo de Unas Valentines Day Nail Art Stamping Plates! 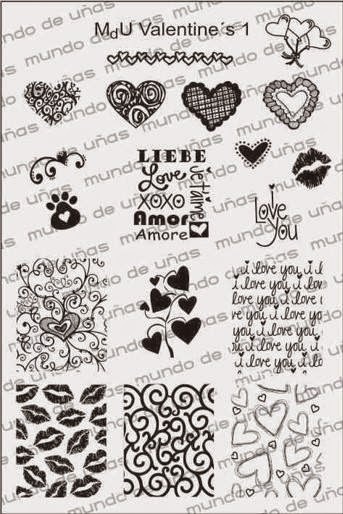 Hot Off The Stamping Press: New Mundo de Unas Valentines Day Nail Art Stamping Plates! You may recall when I posted about this new brand of plates that Slyvia of Mundo de Unas, famed for their super opaque stamping polish, for Christmas. After seeing these two releases I think MdU is aiming her intial plates at holiday themes. First Christmas and now Valentines Day. I'm not opposedto this I think these plates are adorable! Particularly this one above. Sweet and again adorable. 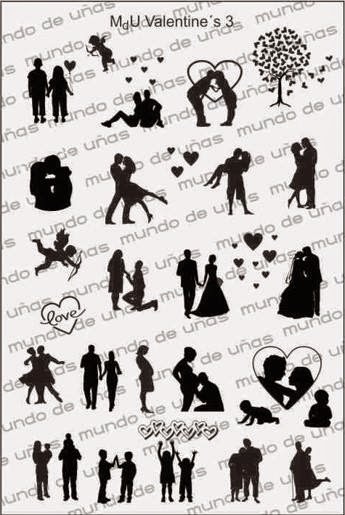 I love these kissing birds images in the upper right hand corner. Spelling and grammar is wrong. Should be "LOVE is patient and kind. It is never jealous."